Home for a minute, gone for another month. . .
Molsky’s Mountain Drifters finished up our 16 day UK & Ireland tour at King's Place London last week, with a surprise guest, John Paul Jones, joining us for a tune! Home for a minute. . . then off again. . . I make a bad joke from the stage at a lot of concerts. It’s bad because it’s true. “Sign up for my monthly newsletter, which goes out about every six months,” I say. Makes me think of the Cajun comedian and chef Justin Wilson, who used to say “It’s not an excuse, it’s a reason!” So I’m invoking Justin Wilson here, which also kind of applies. My reason, not excuse, for not writing, is just being busy with music, and nothing could make me happier. The Mountain Drifters just returned from our first tour in the UK and Ireland. We got to play in some beautiful halls, met new friends and old, and saw some nice countryside, though much of it from the motorway. We can’t wait to get back there for Celtic Connections Festival in January! It’s worth mentioning here that we’re thrilled to be working with ABM Management for our UK and Ireland bookings. This was our first time together, and it’s great to be with Alan Bearman and his organization. It’s been a busy time all around for the trio. Allison, Stash and I are scheming up our next recording and plan to hit the studio in February. But next up is Australia! Starting with Woodford Folk Festival north of Brisbane, and a mere 1900 miles south of the equator, then working our way south with shows and workshops, and eventually to Tasmania for the Cygnet Folk Festival. We’ll also be way closer to home this winter and spring. See the tour schedule on this email or on the web page. And I’ll be returning to teach at Berklee College of Music in our American Roots Music Program, an honor I look forward to every day. Debra Clifford and I will once again be hosting the 3rd Annual Old-Time Rollick at the beautiful Ashokan Center in the Catskills, another intense weekend of old time music immersion and we are so happy to welcome back the staff and adding Mark Wholley for even more singing and beginner guitar! Of course, with the holidays fast approaching, please think of us when you think of gifts for your music-loving friends. The Mountain Drifters CD, my recent solo DVD/CD “Can’t Stay Here This a-Way” and just about all my other titles can be shipped right away. Order at the brucemolsky.com/store. Also, the April 2018 Old Time Rollick makes a gift too - it's filling up! 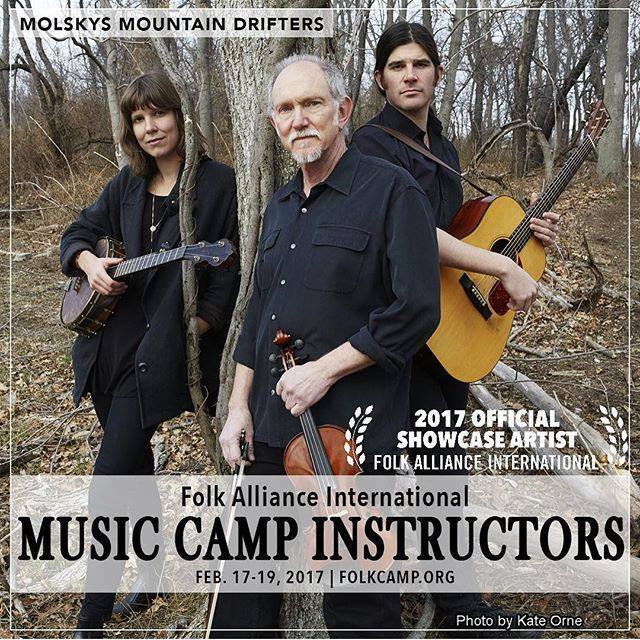 Join me with the Mountain Drifters and The Farwells for our weekend music intensive at Ashokan. Take care, drive safely, stay in touch and have fun! 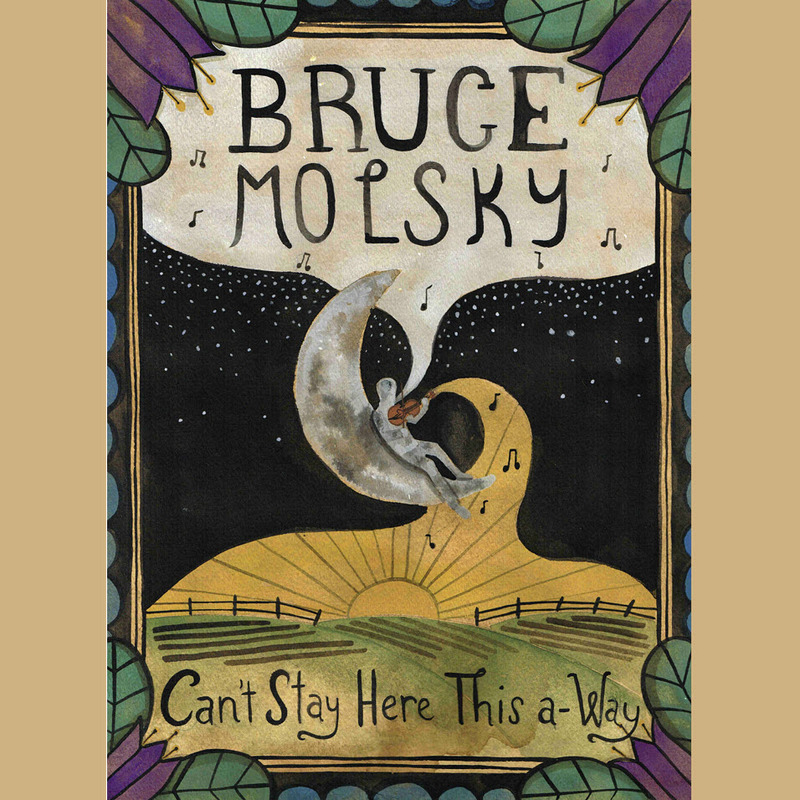 The first one is just out - a year in the making, “Can’t Stay Here This a-Way” is a DVD/CD set from David Bragger’s wonderful Tiki Parlour series. Not a studio recording at all in the traditional sense, I showed up at David’s with just some rough ideas and music rattling around in my head. He planted me in front of the camera, and I just ‘went.’ One tune led to the next; there are some old favorites and also some new developments. The Old Time Tiki Parlour beautiful, quirky aesthetic is all over every aspect of the package. And there are some nice historical embellishments to my own notes by the scholarly Chris Berry. It’s now available on our website store! And then there was the one that wasn’t planned at all . . . I was at the Rauland Winter Festival in Norway this past February with Arto Järvelä and Ånon Egeland. The plan was to play a few shows together, share some music and a good visit. And somehow we ended up with that, plus a couple of days in the recording studio where we put down some track and then we added live performances done in Oslo later that week. It was magic playing with those guys. Coming June 23! 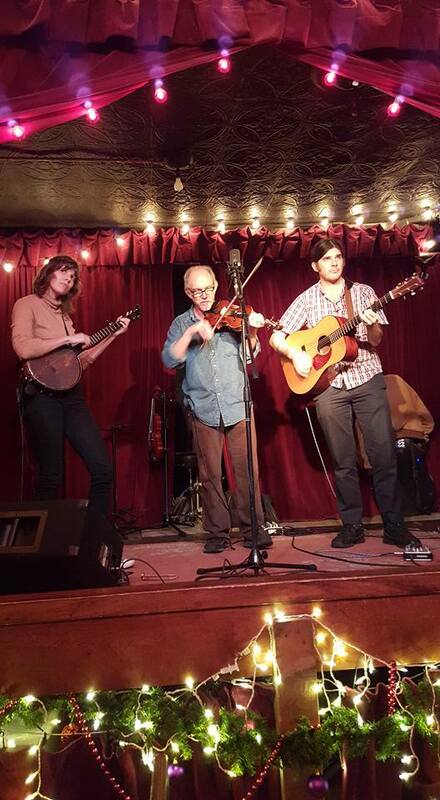 And THEN Molsky’s Mountain Drifters -- Allison de Groot, Stash Wyslouch and me. 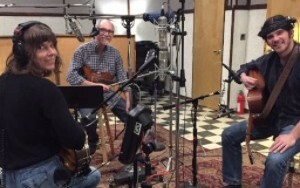 The new CD is recorded, and will be out in mid-July. We love playing together, and love where this is going! In the meantime, I'm in England and Scotland for solo shows in some of my very favorite spots. It’ll be great to see old friends at The Old Queens Head in Islington, and also explore some new places like Kingskerswell in Devon. And then up into the Scottish Highlands for some fresh air and maybe a dram or three. Summer camp and festival season will be firing up shortly, too - check the tour page for for all the goings on - I hope to see you out there. 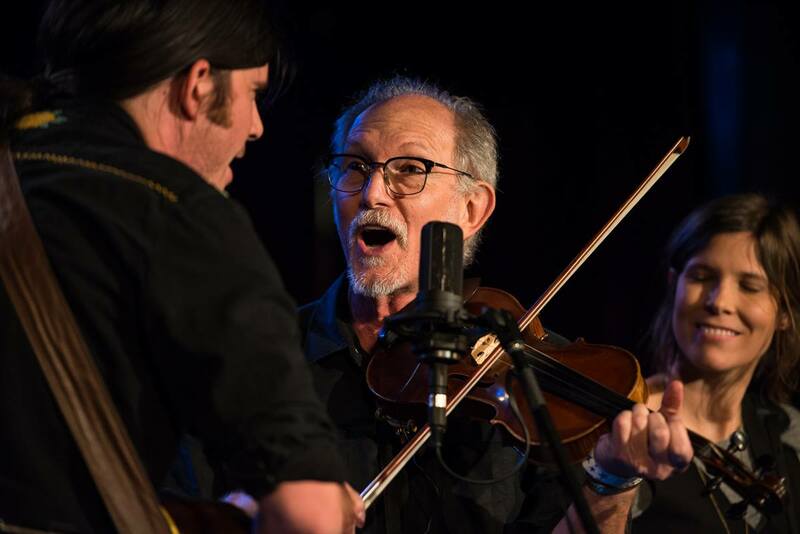 Berklee’s Global String Intensive - there will be an incredible palette of bow-based styles, from folk and bluegrass to jazz, classical, middle eastern music and everything in between. It’s been life-changing for me to be part of the Berklee community, and this event is really a confluence of many of the things that make it a great place to study. If you’re looking for a musical gift, please check out our new website store. Copyright © 2016 Bruce Molsky / Tree Frog Music, All rights reserved. . . .and boy are my arms tired. . .
A couple of weeks ago was the last concert with Anonymous 4 and our commemorative project, 1865 - Songs of Hope and Home from the American Civil War. It was a fabulous and fun run with four singers I respect so, so much. Sadly, the group is ending at the end of this year - I feel lucky to have snuck in on the tail end of that, and to have been involved in the CD. 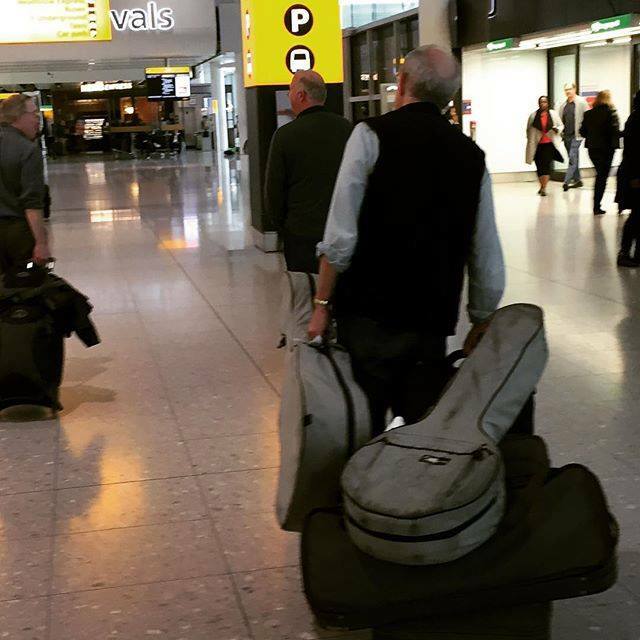 Right before that was a couple of weeks of touring with my pals Aly Bain and Ale Möller in Scotland and England. A lot of hours in the van together, and a lot of great conversation. Getting to play music at the end of each day was like a big reward for just having made it to the next stop. 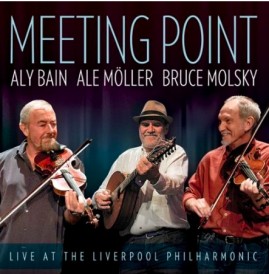 I brought back more copies of our CD "Meeting Point" recorded live at The Liverpool Philharmonic during our last tour! 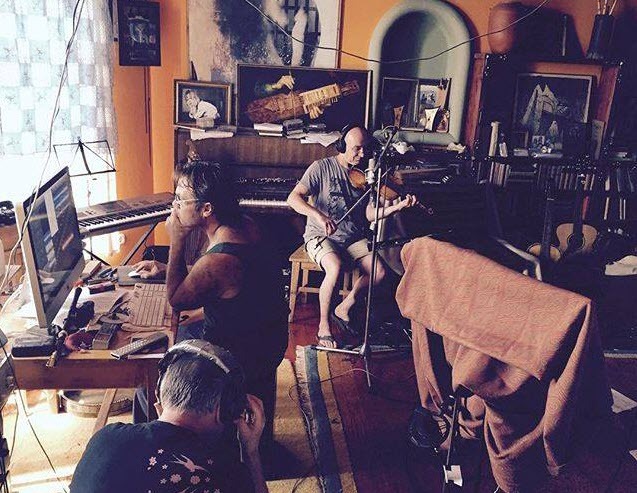 There was the beginning of a new and overdue CD with Mozaik (Andy Irvine, Dónal Lunny et al). And I also had the thrill of producing a wonderful CD by emerging artist Adrianna Ciccone, which landed her with Instrumentalist Of The Year in the Canadian Folk Awards. So happy for Adrianna! The Ashokan Old Time Rollick! For a long time I thought on what an old-time music camp might be if I had the place and time to put it together. Jay Ungar and Molly Mason came through with that opportunity, and the result will be a brand new weekend immersion course. Hosted by Debra Clifford and myself, we’ll be offering fiddle, banjo, guitar, singing and more in a beautiful setting. Info at http://ashokan.org/old-time-rollick/. Molsky’s Mountain Drifters. 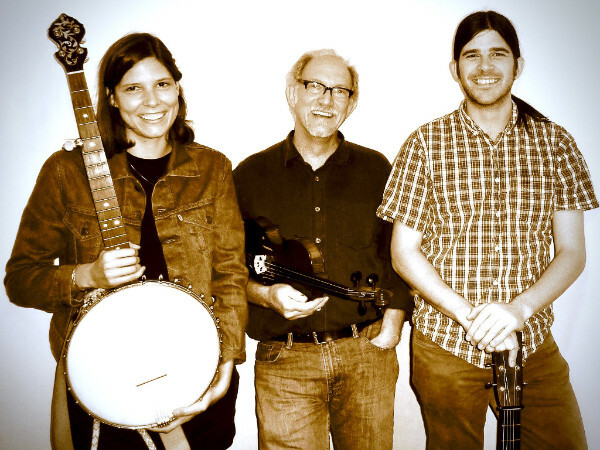 My new trio features clawhammer banjo virtuoso Allison de Groot and incredible guitarist/vocalist Stash Wyslouch. 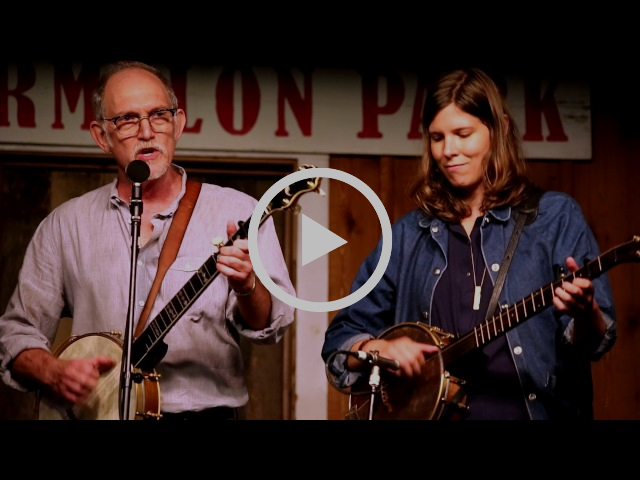 Can’t wait for our very first show together on December 13 at Jalopy in Red Hook, Brooklyn, NY (fiddle and banjo workshops that afternoon as well). We’ll be touring around and getting our musical sea legs all through 2016, please check my website for dates. And speaking of website, I’ve got a brand new one! Same URL (brucemolsky.com), but all reconfigured for easier navigation and new content. Monstrous thanks to Audrey Molsky for putting it all together. A new, live-in-the-living room DVD will be out in a couple of months on David Bragger’s wonderful Old-Time Tiki Parlour series. Already out are Rafe & Clelia Stefanini, Eric & Susie Thompson, Dan Gellert and David's own just out. A real labor of love by a wonderful human being who has dedicated and thrown himself at this very cool project. So that kind of sums it up for this beginning of the holiday season. If you’re looking for a musical gift, please check out our new website store. Happy holidays to everyone, and please keep on keeping in touch! Click the red YouTube button below and subscribe to my new BruceMolskyMusic channel! On the train to NYC this morning to meet a cousin who I didn’t even know existed a month ago! Apparently there’s a whole branch of our family in Brazil, and a whole lot of musicians in that branch of the family, so I’m really excited to learn more. My cousin Manu is a very fine samba style guitarist, and we’re both big fans of Luis Bonfa. This is going to be fun! The first annual Old Time Rollick is now a reality. Debra Clifford and I are thrilled to be hosting a brand new weekend of old-time music immersion and community, April 1 to 3, 2016 at the Ashokan Campus in the Catskill Mountains. 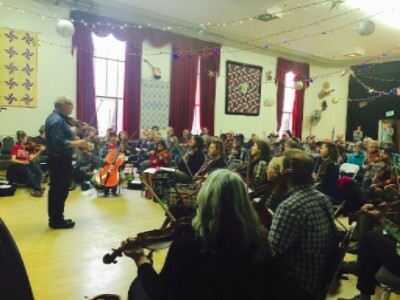 Fiddle, banjo, guitar and singing classes will be offered, plus special sessions in mandolin, dances, jamming, some very fine food, all in a very beautiful setting. Early enrollment discounts before Dec 1! Details and signups here: ashokan.org/old-time-rollick. With 7 years since our last CD, and over a year since our last tour, Mozaik got together near Budapest last month to record. Wonderful new songs from Andy, tunes from Dònal and Nikola, and old tunes from Rens and me. No release date set, but the music is all there. Check out our previous cds:Changing Trains and Live from the Powerhouse. SUGGESTIONS PLEASE! 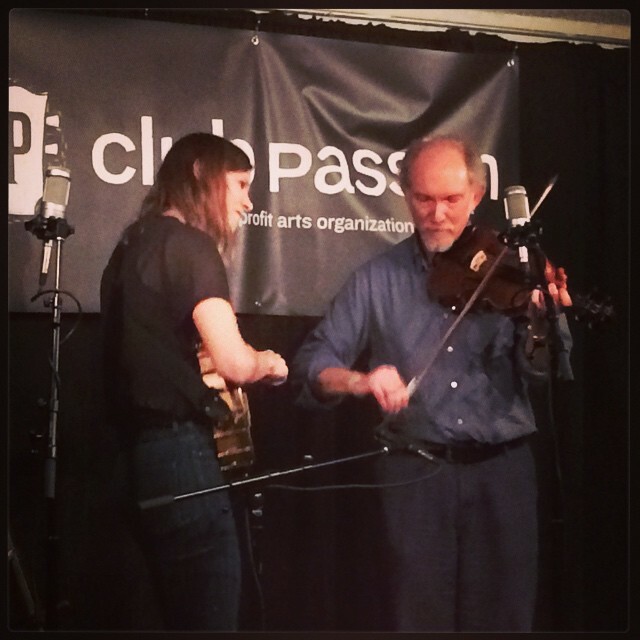 Peghead Nation just celebrated its first anniversary offering video lessons in a variety of roots styles, and I’ve really enjoyed presenting old-time fiddling there. My next round of filming is in a couple of weeks. What would you like to see? Tunes, topics you’d like to see explored? Please write and send suggestions and thoughts! And if you’re new to Peghead Nation, please check us out with a free month trial at pegheadnation.com/string-school/courses/old-time-fiddle. On top of that, I’m honored to have officially joined the faculty at Berklee College of Music. Love my students there and looking forward to digging deeper and deeper into roots music from every possible angle. Copyright © 2015 Bruce Molsky / Tree Frog Music, All rights reserved.